Good friends help one another out in good times and bad. They are there for us not matter what happens, ready to cheer us up when we feel down, and ready to encourage us when we need a little support. In today's charming picture book you will meet a little pig called Puddle whose best friend has a terrible case of the blues. It is a beautiful day and yet Toot is very blue indeed, bluer than ever before in fact. Puddle and Tulip the parrot are worried about their friend, and yet they cannot undo Toot's glum mood and his case of the mopes. The try everything that they can think of to cheer up Toot. 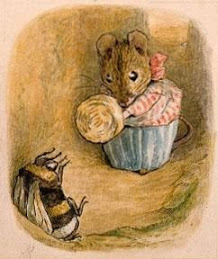 They arrange adventures, throw him a party, and bake a berry cobbler, and yet nothing seems to work. Then something very simple comes along and solves the problem for them. What is especially touching about this Toot and Puddle tale is that we can see very clearly how good friends can help one another in times of trouble. We can also appreciate that sometimes it takes something outside the friendship to fix things. 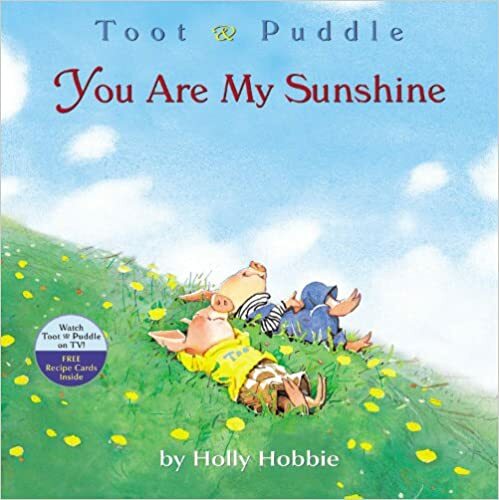 You are my Sunshine is a thoughtful story which, like the earlier Toot and Puddle Books, shows us how enriching and precious a good friendship can be.